"This is my favourite Pavlova Roll. The light and fluffy meringue with the strawberries and cream-perfect"
This dessert is spectacular, I love it, my family and friends love it. The pavlova is soft, fluffy and marshmallowy. The strawberries and cream filling, a match made in heaven. Put it all together it is simply divine. At any dinner party, no matter how full my guests are, they will try and eat all of this dessert, it is a lovely light way to end a meal, no one can say no to this. Okay in terms of difficulty, it is not that bad, simply follow my instructions exactly and it will work. I have made this a few times now and it worked every time. It actually is not that hard to make. 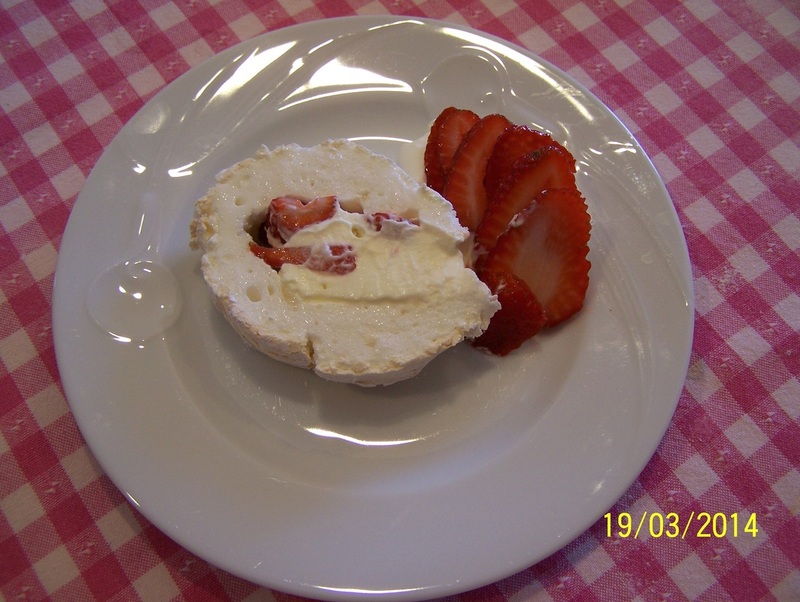 In the absolute worst case scenario and the roll cracks as you try to enclose the filling, turn it into an 'eton mess', it will great either way, the flavours are the same. So do not fear to try this as it will either be eaten as a roll or a mess, but I have yet to have it turn into a mess, so you shouldn't either. This is one dessert that will impress your family and friends. It really is good. 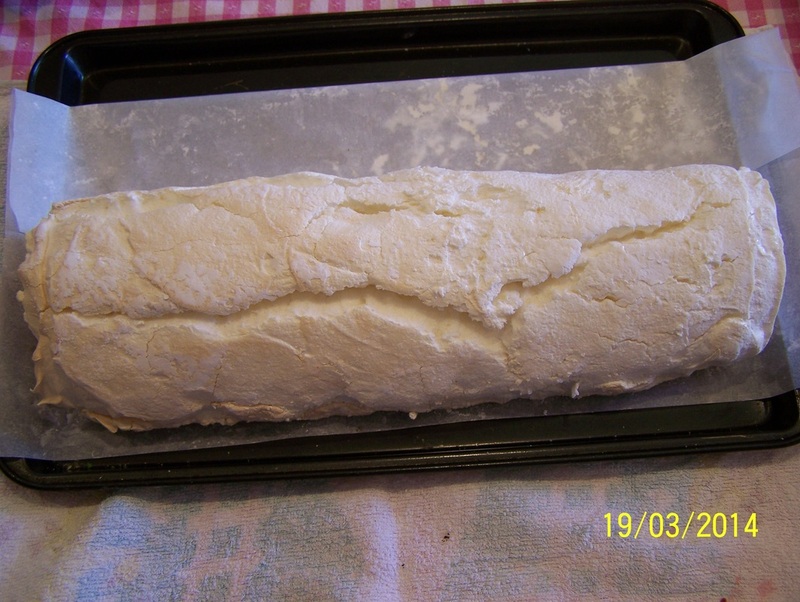 Notes: If you can't find the baking tray size specified below, use a bigger tray and just shape the pavlova roll to the size mentioned below, it keeps it shape and doesn't spread when baked. 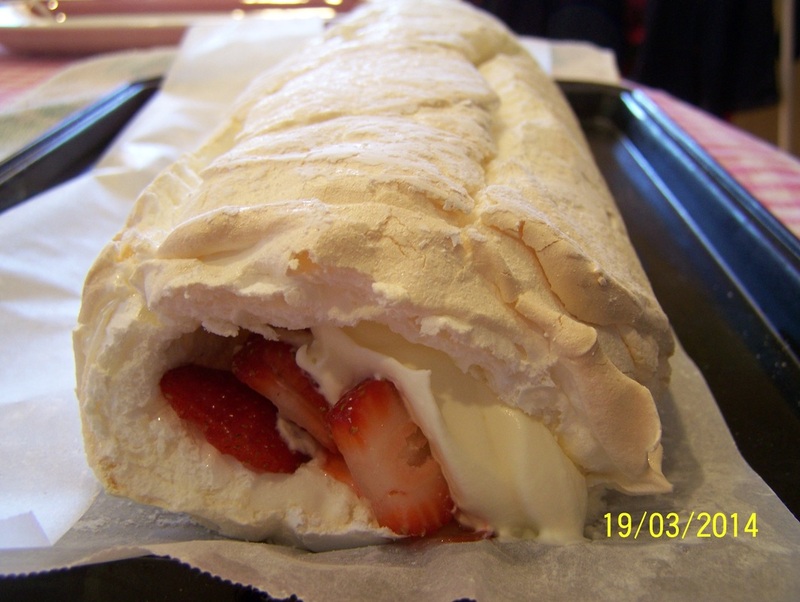 With the remaining 300ml cream and strawberries, you can serve it on the side of the pavlova roll as pictured above. 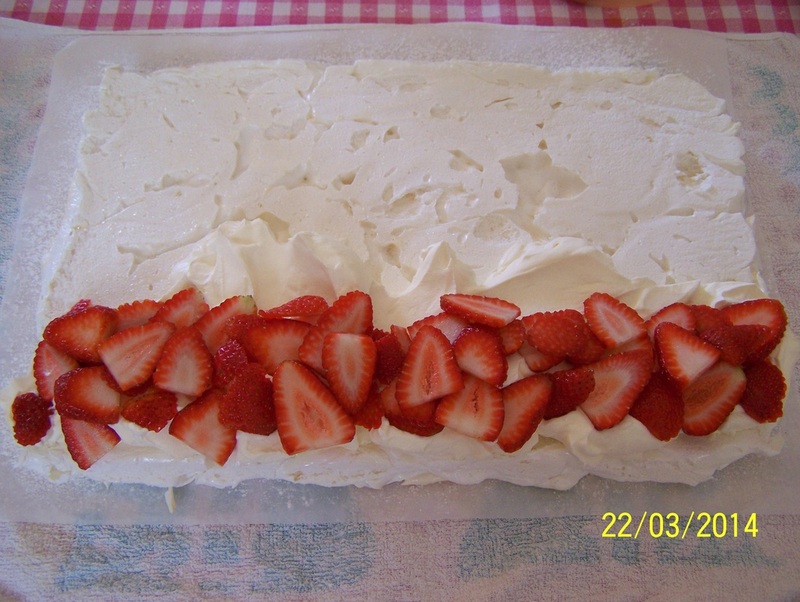 You can also choose to spread the cream on the top of the pavlova roll then garnish with the strawberries. This option will cover any small cracks, so good to do if you get any. Preheat oven to 160C (140C fan forced). Grease and line with baking paper a 26cm x 34cm baking tray. In a large bowl of an electric mixer, place the egg whites. Beat on high speed until soft peaks form. With the motor running, add a tablespoon of sugar at a time, add it in slowly, beating constantly, until the sugar has dissolved and you egg white mixture is thick and glossy. Sprinkle over the cornflour, white vinegar and vanilla extract. Fold it in gently. 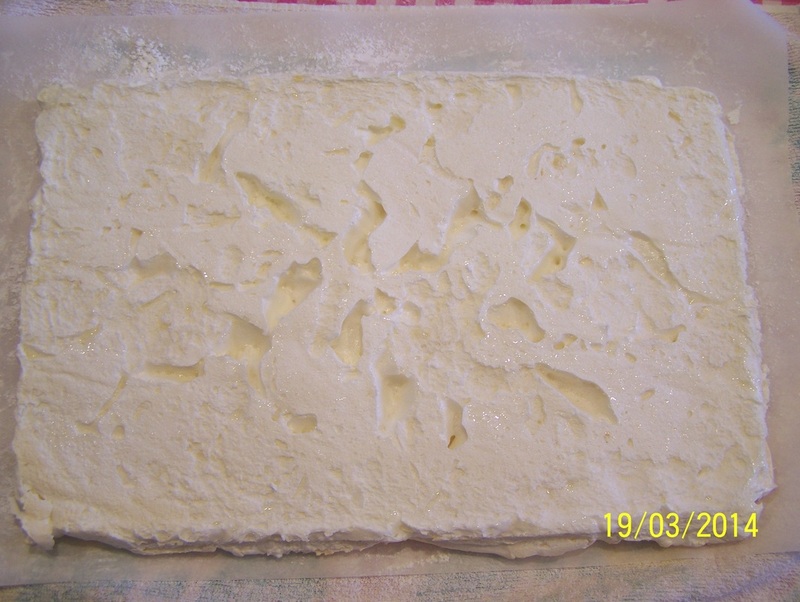 Spread the mixture onto the baking tray, spread it out gently. Press down on the mixture lightly as you smooth out the meringue as under your smooth top you can have large air pockets. Bake for 20 minutes or until just firm. While the pavlova is baking, slice the strawberries and whip the cream for the filling. Once baked, allow the pavlova to cool for 5 minutes. Place a clean tea towel on a clear work surface. Place a new sheet of baking paper on top of the tea towel, sprinkle the baking paper with some cornflour. Now carefully turn the pavlova roll onto the cornflour dusted baking paper. Remove the baking tray and carefully remove the baking paper that the pavlova baked on, it should now be on top of the pavlova roll. Allow to cool for another 5 minutes. You can see a few air pockets above, small ones are okay, large ones can cause cracks in your roll. 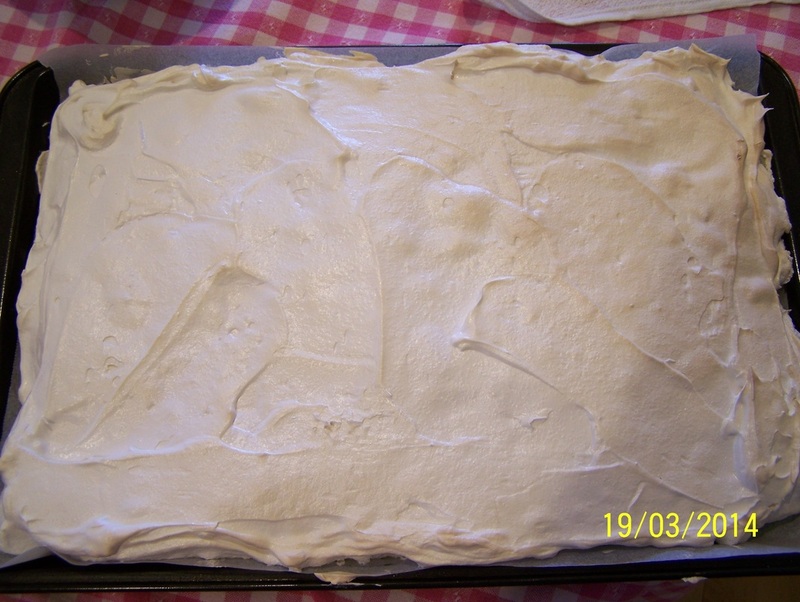 Spread the whipped cream in a line along the long edge of the meringue closest to you. Press on some of the strawberries into the cream, you will use 1/2-3/4 of the strawberries, if you put on too many, it will be hard to roll. Now carefully, using the tea towel to help, roll the meringue over the cream until it looks like a log. Now you need to carefully lift it onto a serving platter, putting the join at the bottom. I am happy to leave the baking paper underneath, it makes sure the roll does not break. You can serve it immediately with the remaining whipped cream and strawberries, or you can refrigerate the roll until needed, but it is best eaten on the day it is made. (The strawberries if made too early can seep out some juice, which does not bother me or my family, but if you want it perfect, eat it within 4 hours of making it).